In recognition of Outstanding Dealer Performance through progressive management, dedicated employees and high standards of operational excellence. 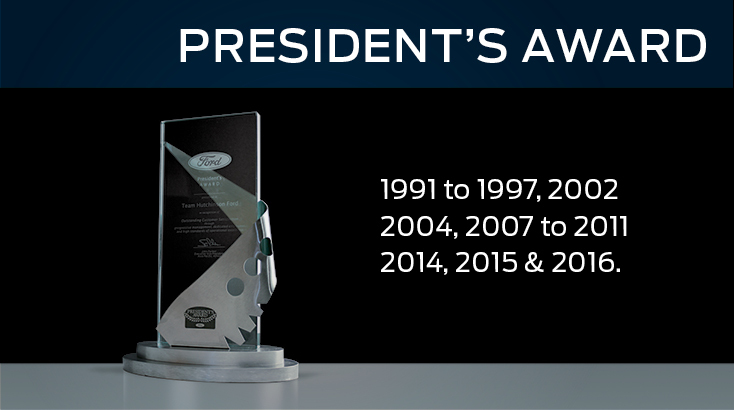 We are the proud winner of the Ford President's Award for Outstanding Customer Satisfaction since 1991 to 1997, 2002, 2004, 2007 to 2011, 2014, 2015 & 2016. Your experience in our showroom is every bit as important as your experience in the driver’s seat.